We practice preventive dentistry to keep your mouth healthy; avoiding cavities, gum disease, and more. With restorative treatments, we can diagnose and improve harmful conditions affecting your teeth, gums, and jaw. From first contact at William D. McDonald, DDS, Complete Dentistry, we are committed to your individual attention and strive to provide personalized oral health care tailored for your unique dental needs and goals. At Complete Family Dentistry you become more than a patient--you’re extended family. We want you to love your experience as much as you love your smile. We believe in providing optimal treatment results with personalized care. For that reason, we customize treatment plans for each individual’s goals and expectations. Our goal is to give you the tools to maintain your smile for a lifetime. No matter your needs, we promise to provide you with resources to be an informed dental consumer. One of the most important services we provide is education. Dr. McDonald offers a no-charge consultation for all new patients, where options for treatment are discussed. Quality dental care is the focus of our skilled dental team. We utilize digital technology for treating periodontal disease, implants, root canals, TMJ treatment and many other services. We work 100% for our patients. The treatments we recommend and the fees we charge will always be based on your individual needs, and not your insurance coverage. Mary has always been the quick wit in our office ever since she joined over fifteen years ago. She is our office manager and insurance specialist and will help you move through the activities of treatment smoothly. Nothing pleases her more than being able to recognize patient voices on the phone and share a good laugh. She enjoys baseball, Husky football, entertaining and vacations. 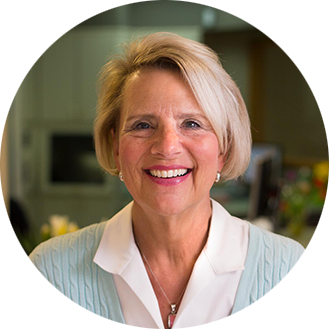 Dr. McDonald has been practicing in the Bellevue area for over 25 years. He was born in Seattle, attended West Seattle High School and then graduated from Brigham Young University in Provo, Utah in 1980. 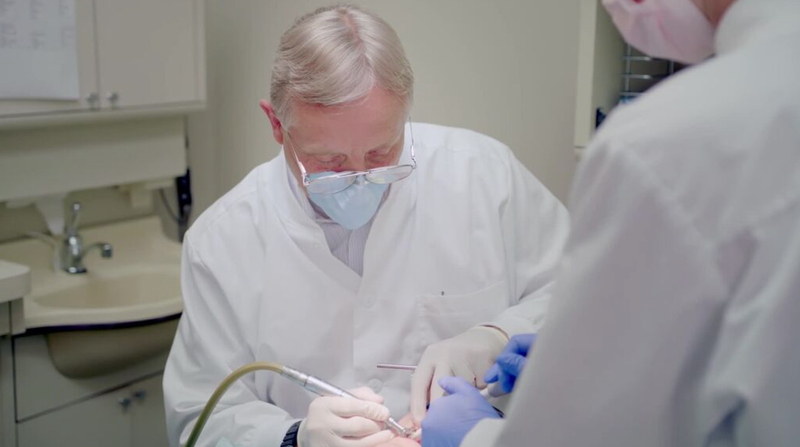 Dr. McDonald graduated from the University Of Washington School Of Dentistry in 1984 and then completed a general practice residency at Loma Linda University in California. 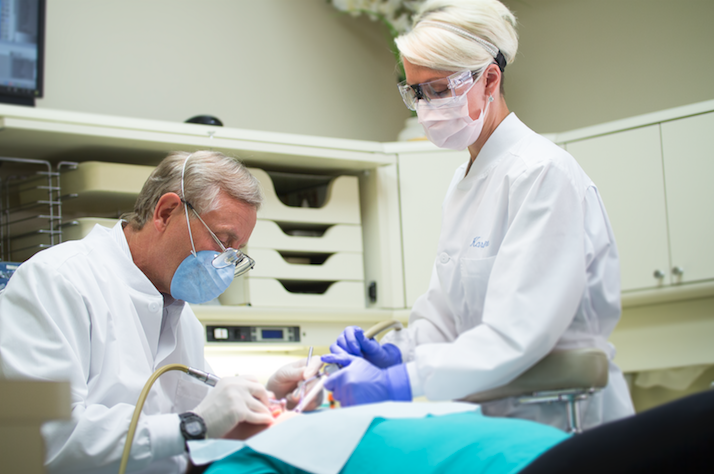 Dr. McDonald practices general dentistry focusing on personal relationships. Karinne has had a lifelong interest in dentistry. She joined our team in 2001 while completing her Bachelors Degree at the University of Washington. Her favorite part of being a dental assistant is getting to know our patients and their families. Karinne is married and keeps very busy with her energetic young son. While spending time with her family she enjoys traveling, biking, and vacationing at Lake Chelan or at the family beach house on Whidbey Island. In her free time she enjoys baking, entertaining, reading, and snowboarding. 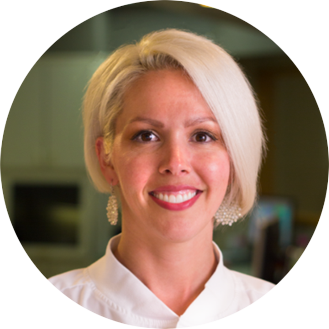 Trina can be found doing a variety of duties in our office, from scheduling appointments to assisting Dr. McDonald chairside. 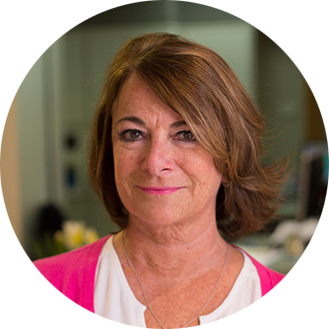 She joined the office in 1993 bringing over fifiteen years of dental experience. She enjoys getting to know all of our patients and looks forward to catching up with them at their return visits. Free time is spent with her husband and grown sons as well as bargain shopping, baking and planning her next trip to a warmer climate. 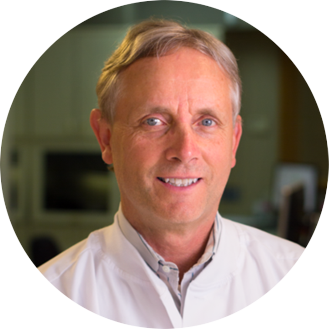 Steve has been with Dr. McDonald for over ten years and went to Lake Washington Technical College and the Univeristy of Washington for his training. He loves all ``Do It Yourself`` projects for his home and garden and is the office's biggest sports fan. He enjoys hiking, gardening, cooking and riding his motorcycle. 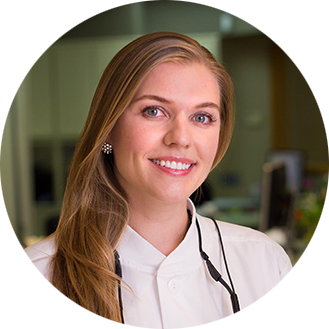 Robyn has been a hygienist for ten years and loves working with people. She brings and added element to the office in that she has a certified service dog Lilly that accompanies her to work. Lilly loves to sit on patient's laps to calm any nerves or jitters. When not ``working`` Lilly sits quietly in her corner waiting to be called. Robyn enjoys hiking and shopping in her spare time. Lilly is a registered Therapy Dog that belongs to our hygienist, Robyn. Lilly has undergone extensive training to help with anxious feelings and general uneasiness in the dental environment. 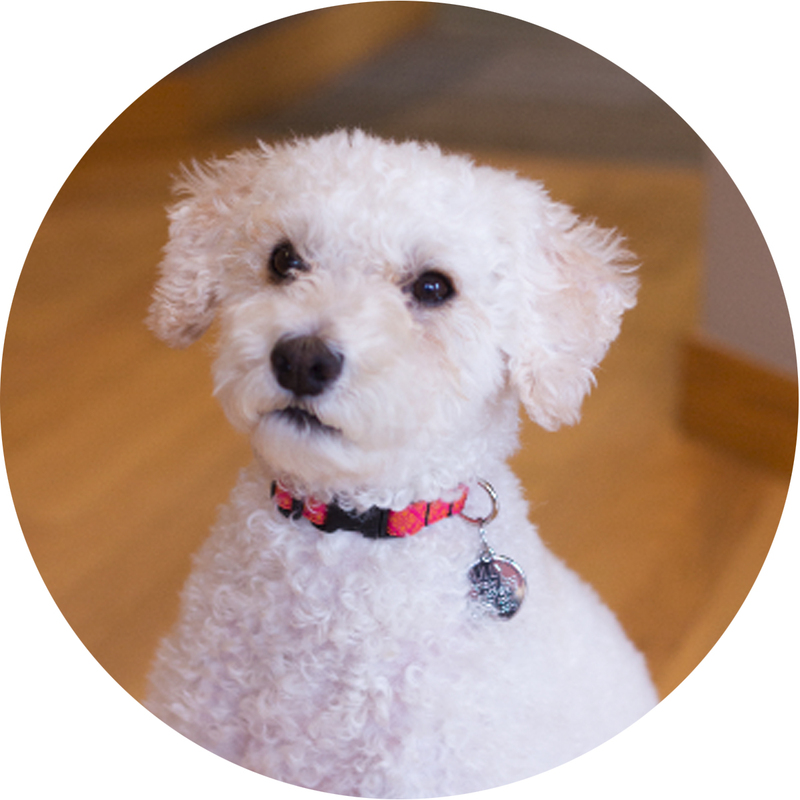 She is a very soft, fluffy non-shedding hypoallergenic poodle that barks to say hello, and is very excited to come to ``work`` each day. She is happy to sit on your lap and be petted as your teeth are cleaned to help calm nerves, and if time allows is a great show-off and delights in performing her tricks. Dr. McDonald and his staff are amazing! Compassionate, professional and by far the best dentist I have ever had. And I have a number of dentists since a child; 10 cities in 5 states. That is more than most so I feel well informed to confirm that he is the best. I was terrified of the dentist until I went to Dr McDonald. Now I'm not and actually enjoy my visits. I hadn't seen a dentist in 20 years when I saw Dr McDonald for the first time with a jaw infection. Now I'm close to having a new smile. Everyone in the office feel like family! Dr. McDonald is positive, frank. easygoing and most importantly I trust him. I am a former employee of a large software company nearby. I changed employers 9 years ago and despite the fact that my home and current employer is in Seattle I travel to the Eastside to see him and his amazing staff. Dr. McDonald and his staff are always so understanding of my needs. They listen and always check in with me to make sure I am comfortable and if there is anything else they could do to help. I always receive an answer to my questions. And I love that I get a f/u phone call after each appt. The staff here are wonderful! Dr. McDonald's thoughtful attention to my specific circumstances has been very much appreciated for many years. 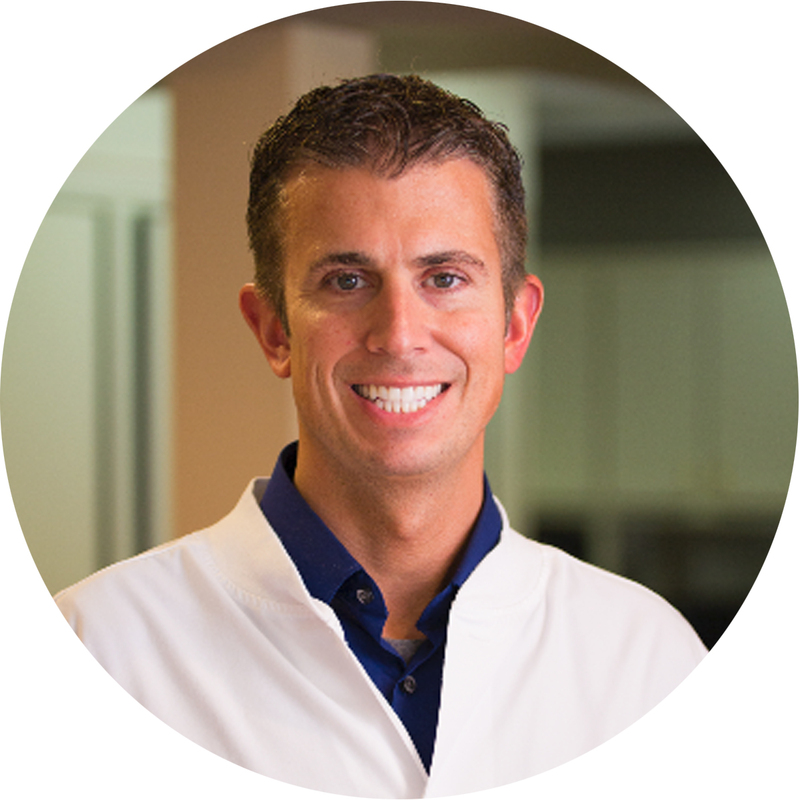 His experience coupled with extraordinary dexterity help make him an exceptional dentist. It is easy to understand how he's been able to surround himself with such a strong staff.